So, the first cat mat/rug/bed prototype, in the shape of a giant comma! I created a pattern from newspaper roughly the size I wanted the mat to end up, then cut a template from foam inlay sheeting around 35% bigger. 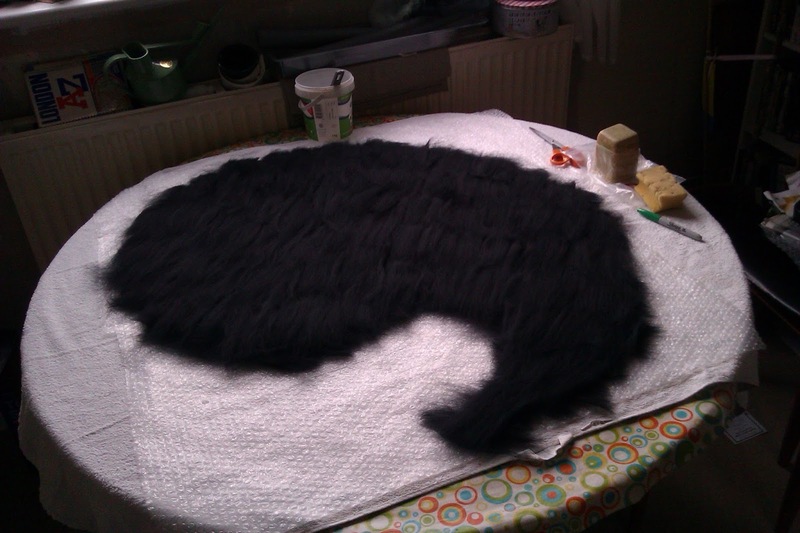 some more black merino, and topped off with a batt of brown welsh fibre. 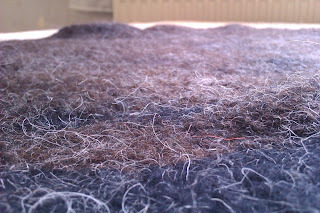 I was really just using up some fibres I had leftover so the combo wasn't exactly thought out too much; an experiment. 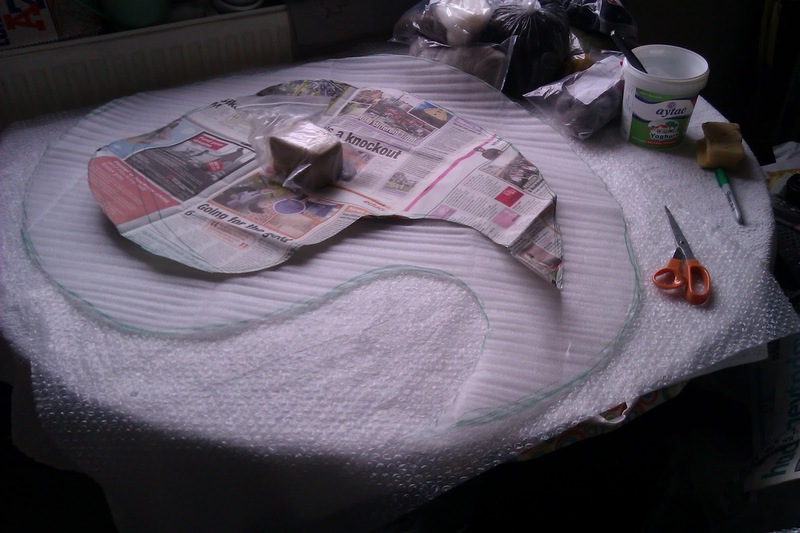 It took up the whole of my dining table, and made me realise I have no large bits of bubble wrap anymore; I had to use two strips overlapped - not ideal! 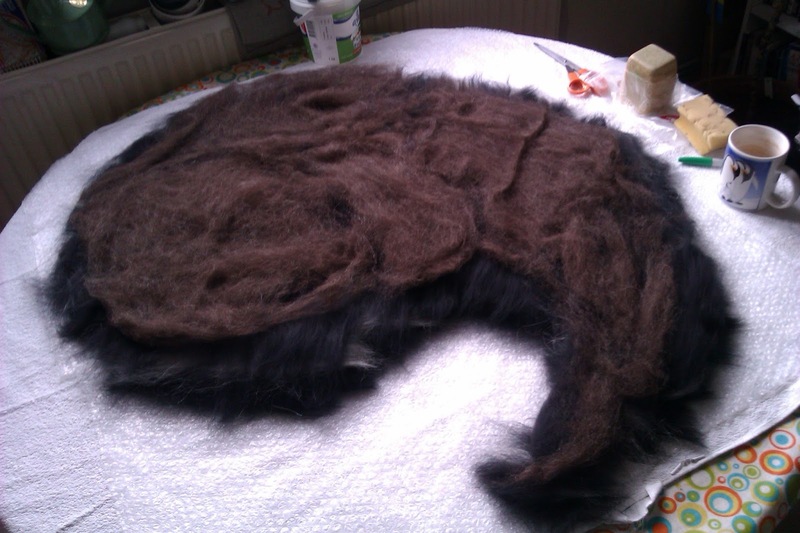 Alot of wetting out, rubbing, rolling & throwing later and it was coming together; but (and I knew this would be the case as I was using swaledale which is very coarse, and welsh, which felts slowly) it wasn't hardening quite as much as i'd like. To harden as much as possible I used my bamboo blind and it shrank almost exactly how I predicted. 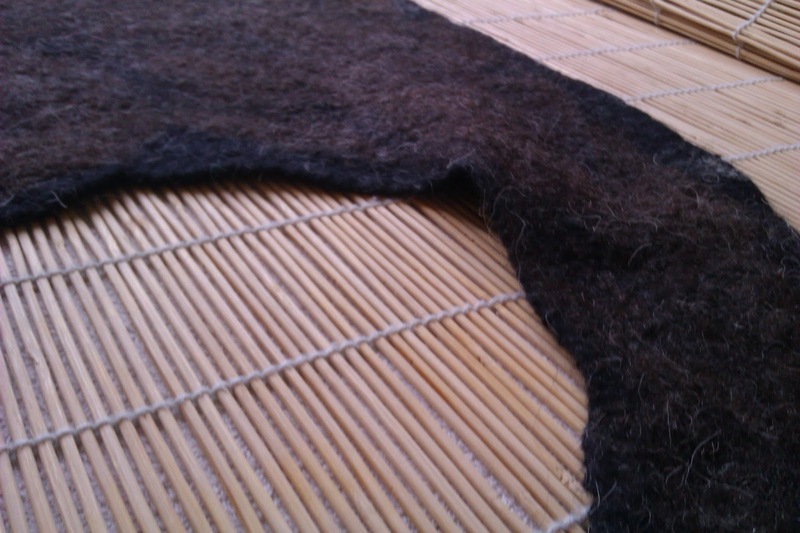 It still remains pretty soft and not really very hard, which is nice, but also probably not great for longevity. 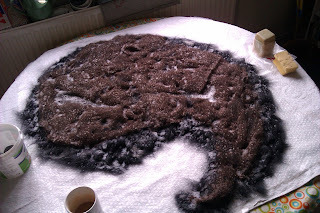 I know the next prototype I want to use Finnish fibres, and perhaps some BFL, as I know they will harden up much more. 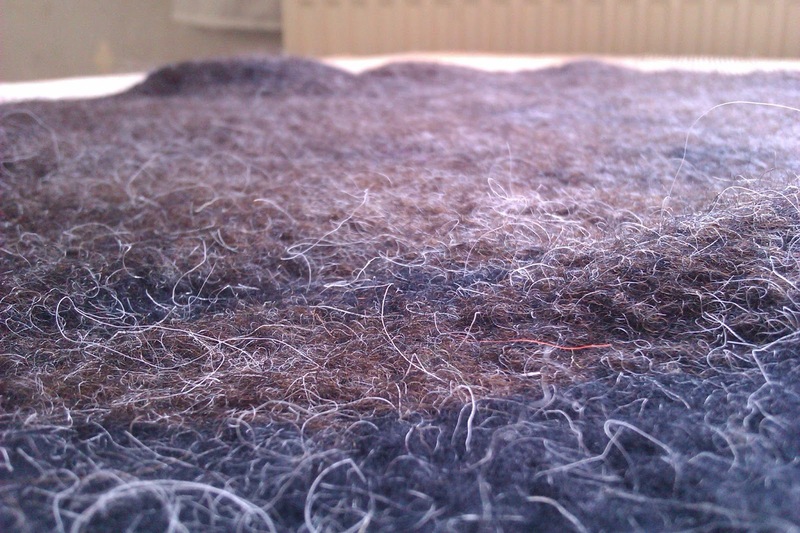 But I do like this swaledale coming through the layers; adds some great colour and texture. 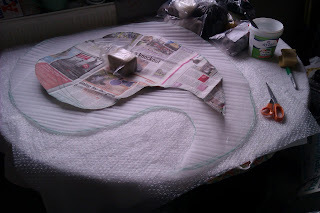 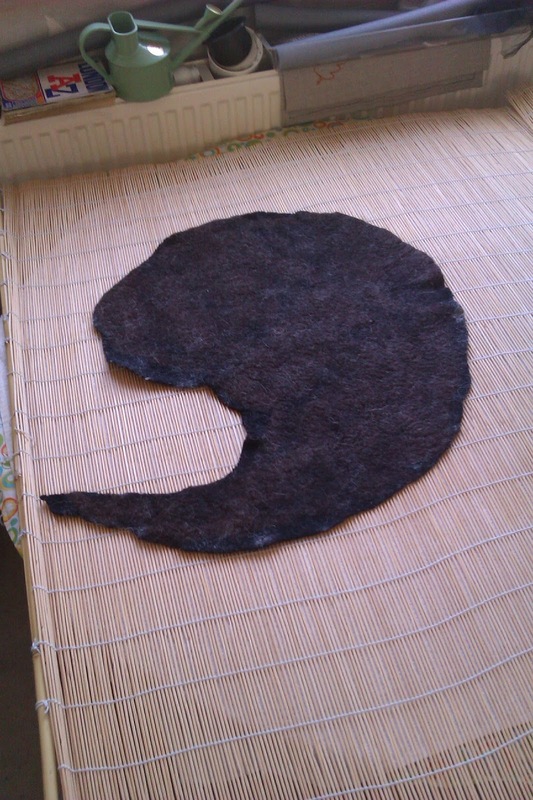 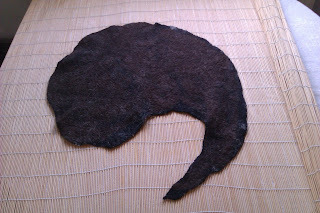 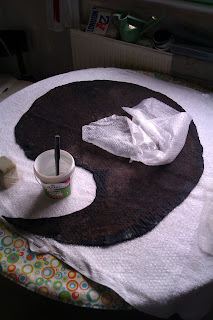 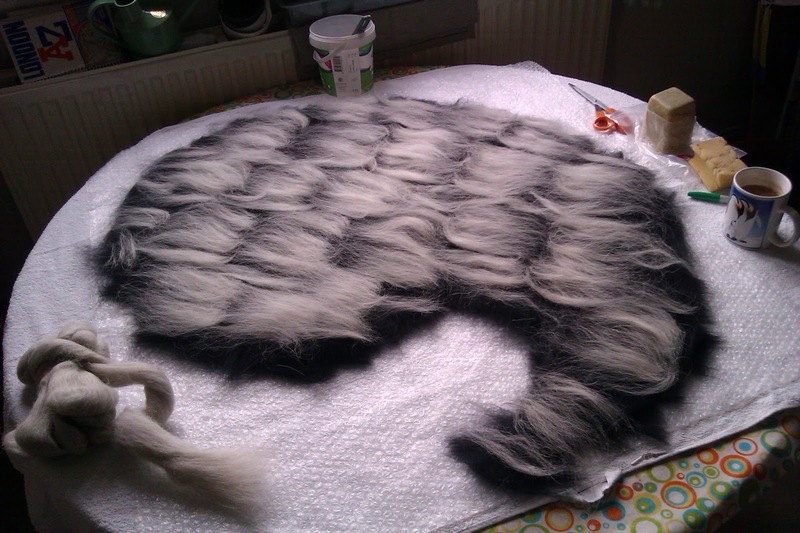 So, when this is dry I'm going to test it out on a friends cat, see how they like my giant felted comma!